There were 67 votes since the poll was created on 18:37, 2 April 2019. There were 5 votes since the poll was created on 20:34, 22 April 2019. 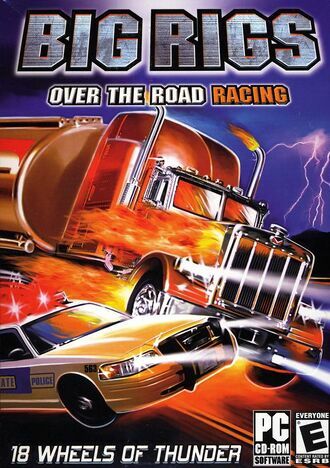 Big Rigs: Over the Road Racing is a racing game released in 2003 and made by Stellar Stone for the PC. The packaging indicates that the player must deliver illegal cargo before a competition across America while being chased down by the police. Like so many things in life, this is a lie.